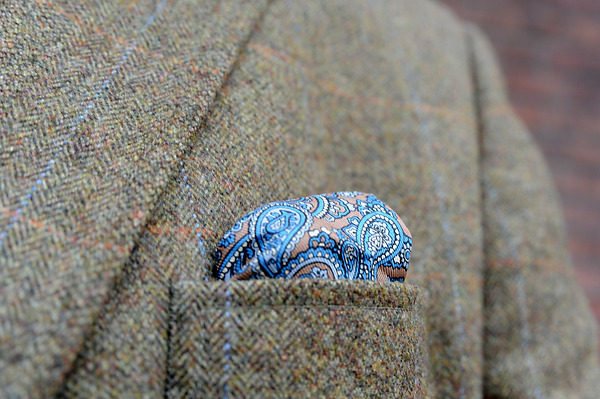 Look at how well Richard from Kent (UK) handles the mix of colors and textures in this fall ensemble. 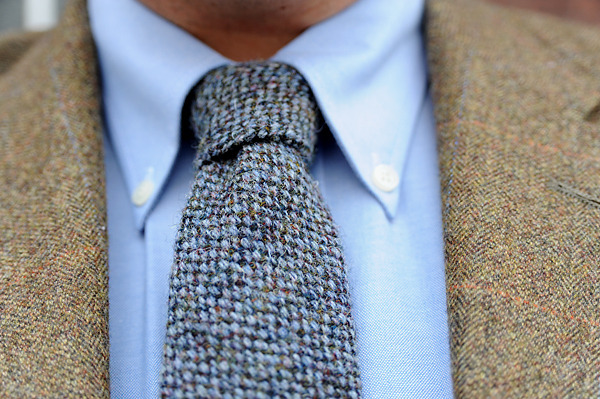 You wouldn’t necessarily think of baby blue as a fall color, but when it’s woven into the knotty wool and popping out in that silk square, it works beautifully. It reminds me of those moments in fall when the sky pops out behind a line of trees, and it’s as blue as it could ever be.